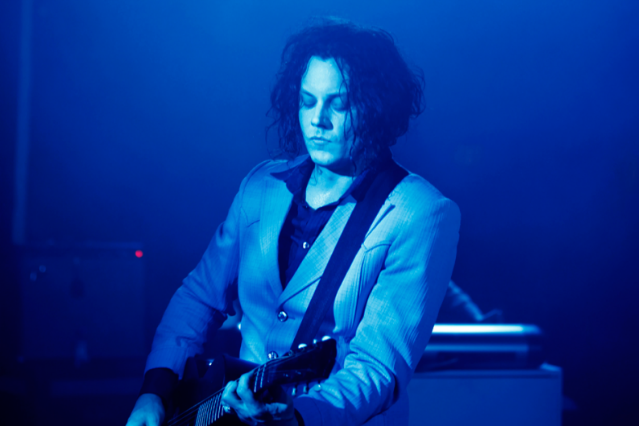 Though Jack White has lately been releasing new music via the least conventional means possible, whether balloon-borne flexi discs or 3 RPM (as opposed to 33 RPM) vinyl records, the former White Stripes maestro lives on the same digable, digital planet as the rest of us. White’s debut solo album, Blunderbuss, won’t be out until April 23, but the whole thing is streaming for free right now via iTunes (which is also the spot where you can grab a free Soundgarden track for the next week). On first couple of casual listens, the stylistic diversity embodied by folksy “Love Interruption” and gnarly “Sixteen Saltines” was no deception. Y’know, unlike probably half of the too-good-to-check things White said in the New York Times Magazine’s excellent recent profile. There’s loudly distorted guitar, there’s hangdog juke-joint piano, there’s weeping steel guitar, and there’s White — and it’s a safe bet nobody is wearing khakis.